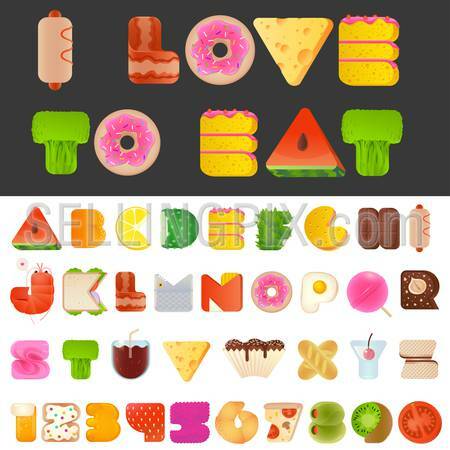 Stylish yummy funny food letters and numbers latin font. Snack A to Z typeset alphabet collection. Modern style typography elements everyone would like to eat.